If you have ever enjoyed the luxury of a Moroccan Hammam, then you must know that Moroccan black soap wholesale is the key to the exquisite experience. Made from 100% pure black olives mixed with fresh rain water, the black soap is known for a range of skin, beauty and mental benefits. When 100% virgin black olive oil is pureed and processed, the finest of Moroccan black soaps are made. The saponification processed is performed using potassium hydroxide. 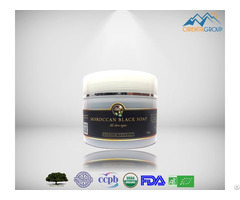 The gooey consistency of the soap comes from the expertise of its manufacturing and at BioProGreen wee make the finest of Moroccan black soaps. 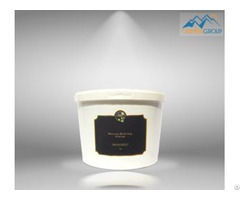 You can buy a jar of black soap or bar from Oriental Group and enjoy its benefits to the core. It will moisturize your skin and also give you soft skin benefits. 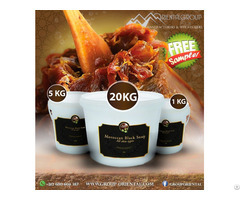 Payment Terms: L/C, T/T, Western Union, MoneyGram, PAYPAL Packaging & Delivery Packaging Details : 150g, 250g, 1kg, 5kg, 20kg plastic jars.